Perfect for a light lunch or a side at dinner, this hearty salad packs a nutritional punch with antioxidant rich beets and greens as well as heart healthy fats in the nuts and olive oil. Wonder why beets are so good for athletes? Check out my blog on Beets here. 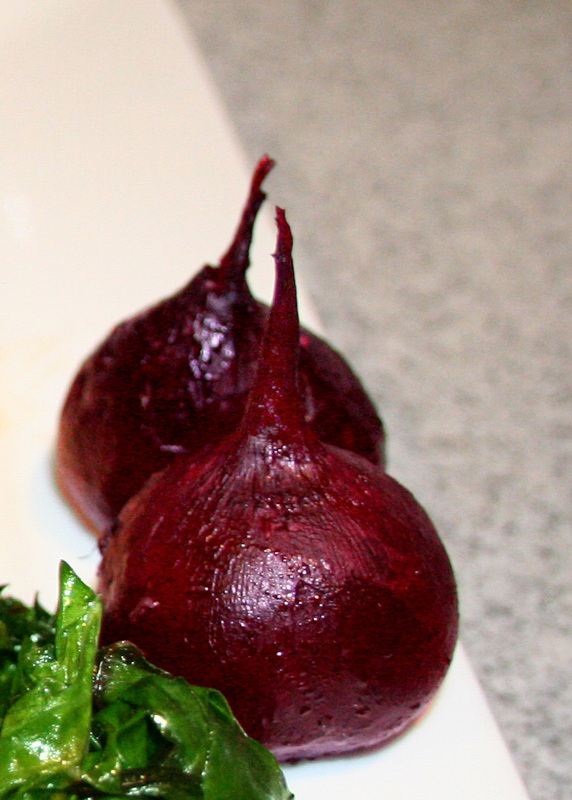 Toss beets in 1-2 tablespoon olive oil. Roast at 400°F until tender, about 20-25 minutes. Meanwhile, cook walnuts in a lightly oiled (or use cooking spray) skillet at medium-high heat for 3-5 minutes, stirring frequently. Spread arugula evenly on 4 plates. Evenly divide all other ingredients amongst the plates as well, and top with a drizzle of olive oil and balsamic vinegar.